By linking your business bank accounts to your cloud accounting software, much of the effort of posting banking transactions are removed. The software will download transactions (usually overnight) from your bank, and these will then await reconciliation. Any items matching a sales or purchase ledger invoice will be identified, with a simple confirmation required by the user. Rules can be set up to ensure that the default treatment is implemented, meaning that the bank reconciliation can take minutes rather than hours. The software has in-built artificial intelligence (AI), learning from what has happened in the past to suggest possible actions and save further time. Optical character recognition (OCR) software is able to read your receipts, purchase invoices and bank statements. The most well-known product is Receipt Bank, another is Auto Entry. These products enable users to upload data in a variety of ways, from taking a photo via an App on their phone to sending these via email, Dropbox, and PayPal. The software populates the transaction, picking up pertinent information such as supplier, date, invoice number and amounts. The user can choose to manually or automatically publish the data directly into their cloud accounting software, cutting down processing time and ensuring transactions are virtually error-free. These are products aimed directly at SME businesses making it easier for business owners to control their own processing and have access to up-to-date information. The look and feel are designed to appeal to those seeking a visual representation of accounts, with a dashboard-style landing page. Terminology has been carefully aligned to be less technical, and as mentioned above, the software is intuitive and makes the user experience easier than ever before. This approach means that many businesses have been able to get their accounting system up and running very quickly. They are also able to access it from anywhere, using a laptop, tablet or mobile device. With up-to-the-minute processing comes more effective reporting, making it easier for businesses to make decisions with live data at their fingertips. All cloud accounting software has inbuilt reporting, but there are also a whole host of bolt-on products, such as FUTRLI, which can take reporting to the next level, linking the financial data to standard or tailored reporting packages, enabling easy benchmarking, metrics and much more. A move towards the ‘software as a service’ (SaaS) model has driven prices down, as products compete for market share. Gone are the days of heavy investment in accounting software for many businesses. Pricing models mean that many can pay as little as £20 per month for software that is constantly updated, secure and hosted externally. Cloud software enables multiple users to be added at no extra cost, including the external accountant. This means that any technical support can be provided easily and quickly, with no emailing of backups and wait for it to be returned. In turn, this leads to opportunities for your accountant to provide value-added services, for example, assistance with technical matters such as VAT, dividend and tax planning, business advisory work, forecasting and so on. All of this can be provided using live data, rather than having to wait until the draft accounts have been prepared, by which time opportunities may have been missed. If these benefits aren’t enough to tempt your business into the cloud, HM Revenue & Customs’ (HMRC’s) Making Tax Digital (MTD) programme could offer an additional incentive. From April 2019, businesses with turnovers over the VAT threshold will have to submit their VAT returns using the MTD-enabled software. Digital reporting for income tax and corporation tax are likely to follow, possibly as soon as April 2020. Perhaps the most significant change, however, is that MTD will require business records to be kept digitally, and, where separate software systems are used to prepare and submit a tax return, transmitted digitally between those systems. Businesses trading over the VAT threshold only have a year to assess what the MTD changes will mean for their record keeping systems and processes. If your current systems will not be MTD-compliant, the cloud might offer the answer. 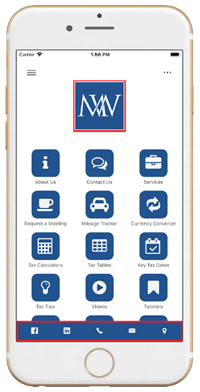 Makesworth Accountants are here to help clients like you choose the most appropriate online applications and analytical techniques for your financial and reporting needs. This provides you with real-time insight into the financial and commercial dynamics of your organisation, and – coupled with our sector and commercial expertise – ensures you can plan a successful way forward. We have wide experience of a range of online accounting (cloud accounting) platforms, including teams specialising Xero, QuickBooks Online and FreeAgent, so you can be assured we have the correct package for you. Whether you are a start-up business, a growing (SME) business, or a large corporate, our specialist online accounting experts help you decide on the accounting solution that is the best fit for you, and your developing business needs. Members of our team will be on hand to help with your bookkeeping and accounts and provide advice and guidance with all your other business and accounting needs, including VAT, business tax and payroll services. We can also offer a full outsourced service of your finance function with our specialists undertaking the day to day accounting and financial management for your business, working collaboratively with you using online accounting software. With cloud accounting from Makesworth, you get the best of both worlds – up to the minute financial information and full support from an experienced team of accountants and business advisers.